Centuries after the Mistborn trilogy, Scadrial is on the verge of modernity - railroads, electric street lights, and skyscrapers. Waxillium Ladrian can Push on metals with his Allomancy and use Feruchemy to become lighter or heavier at will. After 20 years in the dusty Roughs, in the city of Elendel, the new head of a noble house may need to keep his guns. 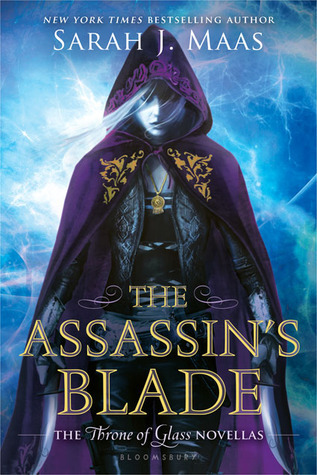 Of course immediately after inhaling the first three books in the Mistborn series (grouped together as a trilogy since THE ALLOY OF LAW takes place three hundred years after THE HERO OF AGES and is really more of a spin-off), I had to start the next book in this series. I grew obsessed, craving for more, and couldn’t get Sanderson books off my mind. This was actually the shortest book of the series so far (at only 300+ pages versus the usual 500-700 (depending on what version you’re reading)) and yet it took me the longest to read. Part of it was that I started reading it before my wedding so for a good two and a half weeks after I started, I really read nothing at all. Another reason is that I was really pining more for the original characters and plot than the spin-off but nevertheless, I enjoyed THE ALLOY OF LAW very much! Right away, THE ALLOY OF LAW has its definite differences. The feel is immediately much different with AOL taking place 300 years later and Sanderson creating a “Wild West with Allomancy” setting. I was a bit hesitant at first since I was so used to the absence of modern technology in this series and the reader stumbles upon a much more advanced Scadrial, following the descendants of some of the original characters. The other immediate difference is the absence of Mistborns and the notable introduction of “Twinborns” — people who possess both Allomantic and Feruchemical abilities. It actually created some very interesting ideas and possibilities and I loved how they played into the plot! I actually can’t wait to find out more about the history of Twinborns and how that came to be because Sanderson’s history and world building and backstories are always quite amazing! I love the bromance between Wax and Wayne (although Wayne might be a more invested in this bromance than Waxillium… but I have hope for them to grow tighter once again!) and all of the difference that these two alone make in the tone of the book. Wayne is a bit more… wild. He’s got some wacky tendencies and the dynamic between Wayne and Wax had me cracking up. He definitely brought a much lighter sense to the book and a lot more comedic moments! As usual, all of Sanderson’s characters are flawless. An unlikely duo (well, now that Waxillium has himself stuck up in the higher class), a damsel, a whip-smart female counterpart, and an indestructible villain. The combinations are just wonderful and as always, the characters keep the story moving and bring a few extra bonus ideas to the plot as well. Everything flowed so well in THE ALLOY OF LAW and it was really fun to watch this story unfold! I’d say ultimately, I was hoping there would be more allusions to the original cast of characters in the first three books (what can I say? I’m greedy), but I have a VERY STRONG FEELING that we’ll be seeing a lot more of that as this collection of stories progresses! I’m also excited to see how this new trilogy connects and then even sets up for another collection of stories (I mean, Sanderson-permitting, of course. I’ve heard rumors.) because Brandon Sanderson seems to be a master at connecting things I didn’t even know were connected! Waxillium // Character Obsessions: Marriage, being proper, TRULY doing what’s right. I liked Wax a lot (also squeeee love his descendants!) and his character was quite interesting. He’s in a weird spot given that he’s the last in the bloodline and has to take over the “proper” duties of his household after spending so much time making a name for himself in the Roughs. It’s just really interesting to see how all of his history has shaped him as a person and exactly how that plays into the story. Marasi // Character Obsessions: Staying quiet, thinking, silent planning. Poor Marasi. She definitely got thrown under the bus in this book. I don’t want to tell you TOO much about her because I really liked discovering that for myself but I really, really ended up loving her character and what she had to offer. I totally didn’t expect that either so as usual, bravo to Sanderson. I tip my cap. Kept Me Hooked On: Western themes. I don’t think I have EVER read a book with a western theme. I mean, if you know I have please correct me! It’s just something I really haven’t been interested in — no particular issues, but it’s not a setting that grabs me (with the exception of Back to the Future Part III, of course) so it was interesting to see that as the setting for THE ALLOY OF LAW, and of course to surprise me on how much I enjoyed it! Loved Mistborn? It’s safe to say you’ll enjoy this one too! I just KNOW it’s leading places so you’re also going to want to read this and get heavily invested in it too. This entry was posted in Adult, Books, Fantasy, Review and tagged Adult, Books, Brandon Sanderson, Fantasy, Mistborn, Review, The Alloy of Law, The Hero of Ages, The Well of Ascension on December 26, 2014 by Brittany.